Home > Blog > Flashpoints > Blood Pressure Targets: Too High or Low? 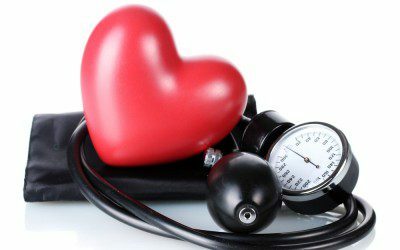 Blood Pressure Targets: Too High or Low? A recent study highlights the potential dangers of setting too high of a blood pressure target — as well as the conflicting evidence about what that target should be. Published last month in The BMJ (formerly British Medical Journal), the study examined health outcomes in people with Type 2 diabetes in Sweden before national blood pressure recommendations were changed from 130 to 140 mm Hg in February 2015. Over 265,000 people ages 75 and younger with a systolic blood pressure of 110 or higher were included in the initial analysis, but once researchers eliminated people with a history of heart attack, stroke, coronary heart disease, heart failure, cancer, amputation, and other serious conditions, only about 187,000 participants remained in the study. The researchers excluded people with these conditions from their analysis because they believed the inclusion of these types of participants was responsible for the correlation between lower blood pressure and a higher risk of death from cardiovascular events found in other studies. Many of these conditions can cause or contribute to lower blood pressure. As noted in a Medical News Today article on the study, it looks like the researchers were right about the effect of participants with these kinds of conditions on previous studies. When they were excluded from the analysis, there was no relationship between lower blood pressure and a higher risk of cardiovascular events. In fact, the group of participants with the lowest systolic blood pressure — between 110 and 119 — had a 24% lower risk of nonfatal heart attacks, 18% lower risk of nonfatal cardiovascular disease, and 12% lower risk of coronary heart disease than the reference group of 130–139 mm Hg. Across all blood pressure groups — 110–119, 120–129, 130–139, 140–149, 150–159, and 160 and above — there was a consistent relationship between higher blood pressure and a higher risk of cardiovascular disease throughout the study’s eight-year follow-up period. There was, however, a notable exception — the risk of heart failure, unlike most other cardiovascular outcomes, was higher in the 110–119 group (20% higher) and 120–129 group (2% higher) than in the 130–139 group, before rising again in the higher blood pressure groups (peaking at 40% higher in the 160 and above group). And in another important finding, the risk of overall death was lowest in the 130–139 group. In fact, the overall death risk was almost as high in the 110–119 group (28% higher) as in the 160 and above group (29% higher). This result indicates that lower blood pressure may cause — or reflect — problems that aren’t visible in traditional measures of cardiovascular outcomes. What’s your take on this study, and the larger controversy over blood pressure targets in people with diabetes — are you worried that your blood pressure might be under- or overtreated? Has your doctor changed your blood pressure target in response to changing guidelines, or your changing health? Do you think blood pressure guidelines should focus mostly on reducing cardiovascular events, or lowering the risk of overall death? Leave a comment below!